SkySentry is an internationally renowned, full-service Lead System Integrator of Lighter-than-Air Systems. 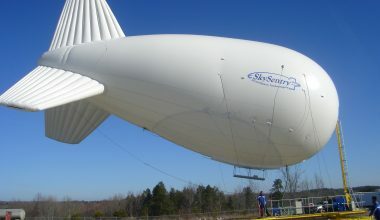 Our team of experts keeps pace with developments in high and low altitude airships, large and small aerostats, communications relay and networking payloads, surveillance payloads, power systems, tether materials, and operational deployment techniques, to help ensure customers get the best value for their money. SkySentry advisors generally follow a well-defined process in helping customers order an elevated system. The first step is to figure out what the mission is and how it can most efficiently be done. This step can often involve advanced modeling and simulation of system coverage, deployment architectures, weather and wind expectations, and other critical influences on system performance. 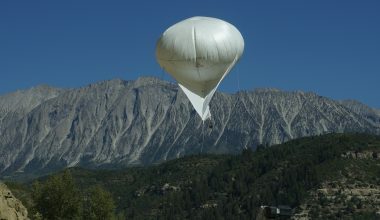 Then, in consideration of budget, required coverage area, mobility, and many other factors, a payload to accomplish that mission can be selected. At this point, power and data-link considerations enter into the process, and total lifted weight can be estimated, which ultimately dictates the size of vehicle required to do the mission. Importantly, we extensively test our systems before delivery to ensure quality performance and provide thorough training, periodic operational effectiveness inspections as desired, and affordable technical support throughout the life of the system. 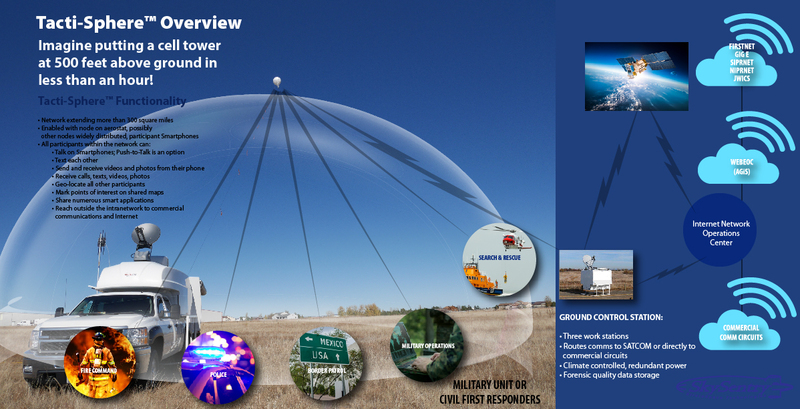 To get an idea of how elevated systems are used in various missions, please visit the Applications tab. 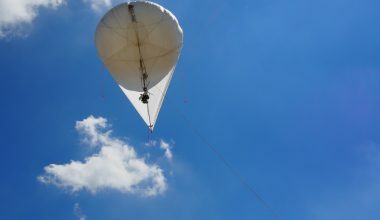 The Products tab lists our growing menu of enabling system components, which now includes aerostats, tethers, winches, trailers, payload options and technical consulting services. 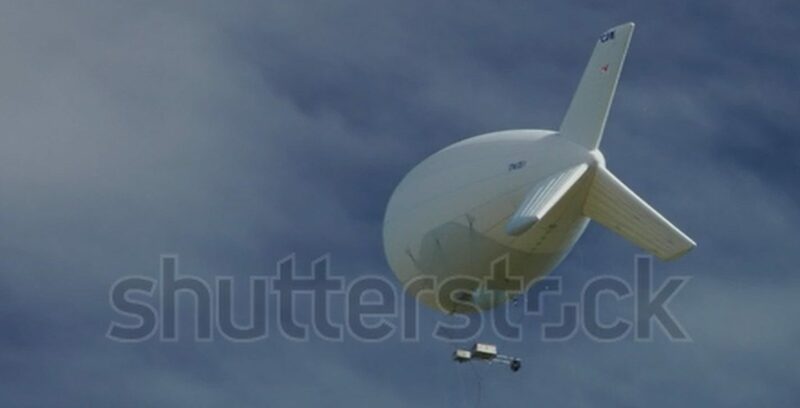 Those familiar with aerostats will know, of course, that "Heavy" is relative. 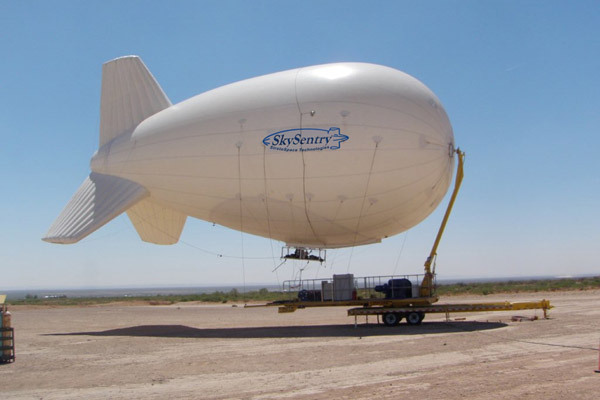 SkySentry's HEA systems are capable of lifting relatively heavy payloads, while still maintaining the Company's design objectives of quick response and minimal manpower costs. One could also add desirable characteristics of routine highway transportability and airlift compliance.